What Is Hyperopia / Farsightedness? Hyperopia or farsightedness causes light to focus behind the retina rather than on it. It is often due to a flattening of your cornea, or by an eye that is shorter than normal. If you are hyperopic, you are able to clearly see objects that are further away from you, but objects that are closer appear blurry. 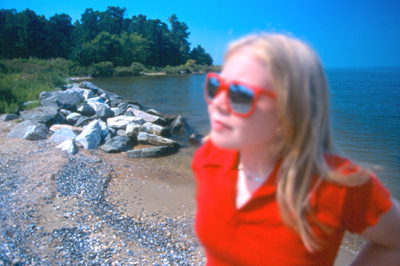 If you have a high amount of hyperopia, distant objects will appear blurry also. 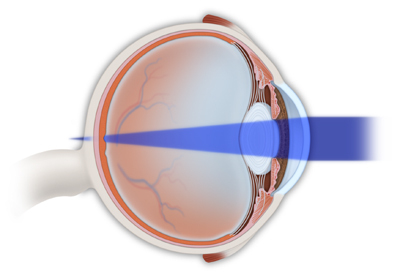 The cornea is the part of the eye that helps to focus light on the retina and works similar to the lens on a camera. 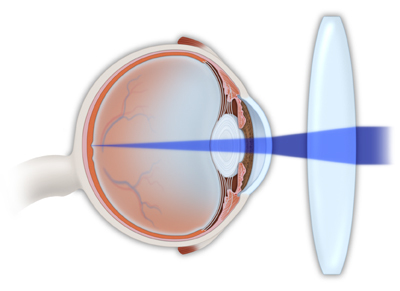 Light passing through the cornea is bent and focused in a process called “refraction”. Because the shape of the cornea is not perfect, the light does not always focus perfectly on the retina. This blurring and focal distortion is known as a “refractive error”. Hyperopia or farsightedness is one type of refractive error. However, if your cornea is more flat than round, or if your eye is shorter than normal, instead of focusing light on a single spot at the back of your retina, it focuses in behind the retina. This is why you are able to see far away objects more clearly, while objects closer to you will appear blurry. Although we may be born with a cornea that is flatter than normal, the flexibility in our lens may be able to accommodate for the refractive error, particularly in children and for people with mild hyperopia. However, over time, our lenses lose the capability for accommodation, and we may need glasses or lenses to correct the hyperopia. This is why farsightedness is associated with growing older. Who Is at Risk for Hyperopia / Farsightedness? The exact cause of hyperopia is believed to be genetic. If both parents are farsighted, then your children have a greater than average chance of developing hyperopia. If you have moderate to severe farsightedness, you may wish to have your children’s vision tested at an early age. If they have mild to moderate hyperopia, their lenses may be able to accommodate for the refractive error. However, with severe farsightedness, corrective lenses, either eyeglasses or contact lenses, may be required in order for them to see clearly. What Are the Symptoms of Hyperopia / Farsightedness? If you have hyperopia or farsightedness, you are normally able to see objects in the distance more clearly. Objects close to you will appear blurry. Before you are diagnosed, you may have eyestrain or headaches after reading. In children who are farsighted, you may notice that their eyes have a tendency to cross. How Is Hyperopia / Farsightedness Detected? How Is Hyperopia / Farsightedness Treated? Once hyperopia or farsightedness is confirmed, your eye doctor will discuss various treatment options. For children and teens, the key to correcting farsightedness is to utilize a lens, either through eyeglasses or contact lenses, to properly focus light on your retina. However, many adult patients whose lens prescriptions have been stable for a year consider LASIK Eye Surgery, the most advanced type of laser surgery used today to correct nearsightedness, farsightedness and astigmatism. Although these problems can be corrected with eyeglasses or contact lenses, some people become frustrated with relying on these optical solutions. If you are one of these people, LASIK surgery may be the right answer for you. Another surgical option for certain selected adults with farsightedness is Photorefractive Keratectomy (PRK). For patients whose corneas are too thin for LASIK, PRK is another opportunity to be less dependent on glasses and contact lenses. An exciting new development in the surgical treatment of farsightedness is the use of implantable collamer lenses (ICLs), which are also known as phakic intraocular lenses (IOLs). ICLs correct your vision in much the same way as contact lenses. These lenses are implanted in your eye, behind the iris. 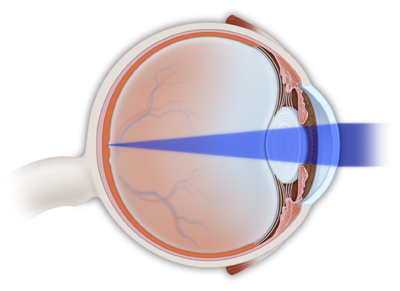 However, because your natural lens is not removed in this surgery, this procedure is reversible. If you would like to reduce or eliminate your dependence on glasses or contact lens to correct your farsightedness, you should discuss these options with your eye doctor.